Nebraska and Colorado Bolt Big 12: Who’s Next? Former NY Knick coach Isiah Thomas headed to FIU? 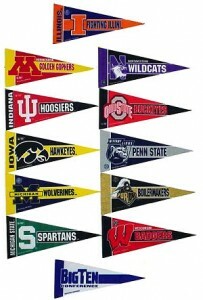 To properly expand, the Big 10 needs to add 5 more schools. I don’t see Notre Dame joining because of their NBC television contract. The other possibilities would be- Pitt, West Virginia, and Iowa State. Iowa is already in the Big 10, Iowa State makes sense. The same can be said for Pitt based on Penn State. Missouri, Nebraska and Rutgers all make sense for the Big Ten. If Notre Dame says no and the conference wants to expand to 16, it should add Syracuse and Maryland; they, plus Rutgers and Penn State, would give the Big Ten the four BCS programs in the populous, affluent New York-to-Washington corridor. SU and UMd are AAU institutions, which RU, Nebraska and Mizzou are (but ND isn’t), and would aid the Big Ten’s research consortium as well as the conference’s athletic programs.